Around these parts, there's practically a church on every other street, a parkway named after the Rev. Billy Graham, and if you go to a major event in Uptown, such as a Bobcats or Panthers game or music concert, you're likely to encounter some guy on the sidewalk with a bullhorn shouting why you're all going to hell. So it comes as no surprise that Charlotte is ranked sixth on the list of "America's Most Bible-Minded Cities," according to a study released today by American Bible Society and Barna Group. The Queen City's sixth-place ranking is one spot higher than last year, which was the first year ABS and Barna came together to do this study. So Charlotte, being the can-do-city that we are, must strive to make it into the top-five of America's Most Bible-Minded Cities. The top-five for 2014 are: Chattanooga, Tennessee at No. 1; Birmingham/Anniston/Tuscaloosa, Alabama No. 2; Roanoke/Lynchburg, Virginia No. 3; Springfield, Missouri No. 4; and Shreveport, Louisiana No. 5. 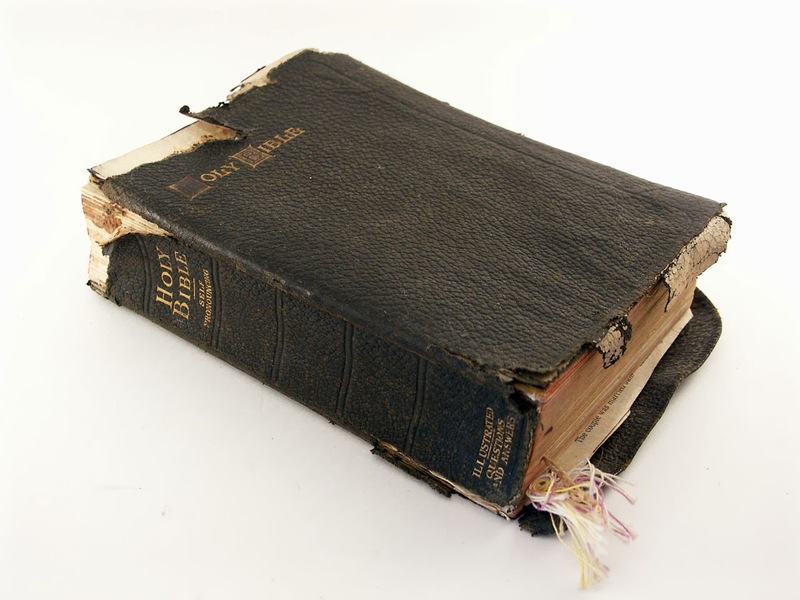 The least Bible-minded city is Providence, Rhode Island/New Bedford, Massachusetts, coming in at No. 100 on the list. Just ahead of it is Albany, New York (99) and Boston (98)--more Northeastern populations that are going to hell (I kid, I kid; Jesus saves). 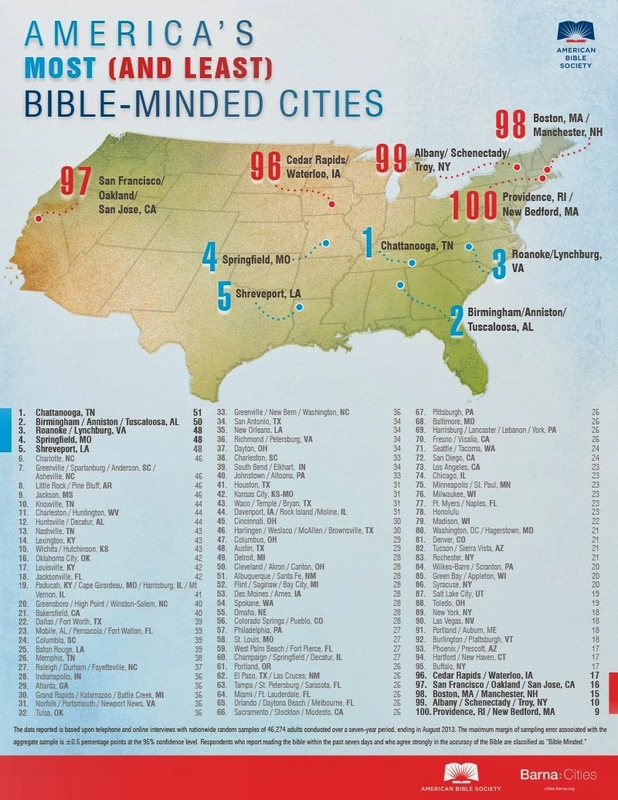 The study examined "a combination of regular Bible reading with belief in the Bible’s accuracy across the top 100 metropolitan areas in the United States." It also points out that of the top 25 Bible-minded cities, only three have a population of greater than 1 million: Charlotte, Nashville, and Dallas. I guess the bigger the city you live in, the more you lack Jesus. And all but one of the top 25 cities are in the South or Midwest, the lone exception being 21st-ranked Bakersfield, California. Click here to read the complete study.